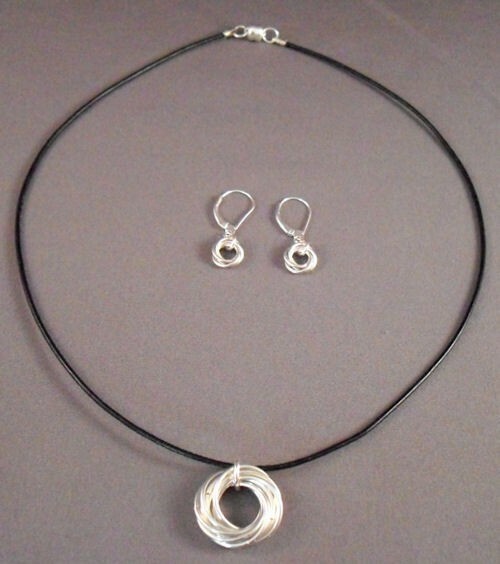 The Swirl Earrings are simple and quite beautiful. They are simplistic in design and yet they are eye catching. These earrings are meant to be worn everyday. Sterling silver plated or gold plated leverback earring findings are included in the kit. This is a beginner weave. As you can see from the picture, there is a beautiful matching pendant that is available in the necklace kit section of the website.